Supreme Air provides Air Conditioning, Heating and Plumbing Services, Repair, Installation, Maintenance, and Tune Up in Arnold, MD and surrounding areas. Thank you very much for the great review! I am pleased to hear that you had a wonderful experience with us. Thank you for being a Supreme customer! On arrival checked thermostat was calling for cooling. Measured EWT,LWT,EWP,LWP,return temperature, supply temperature, amps, and voltage. 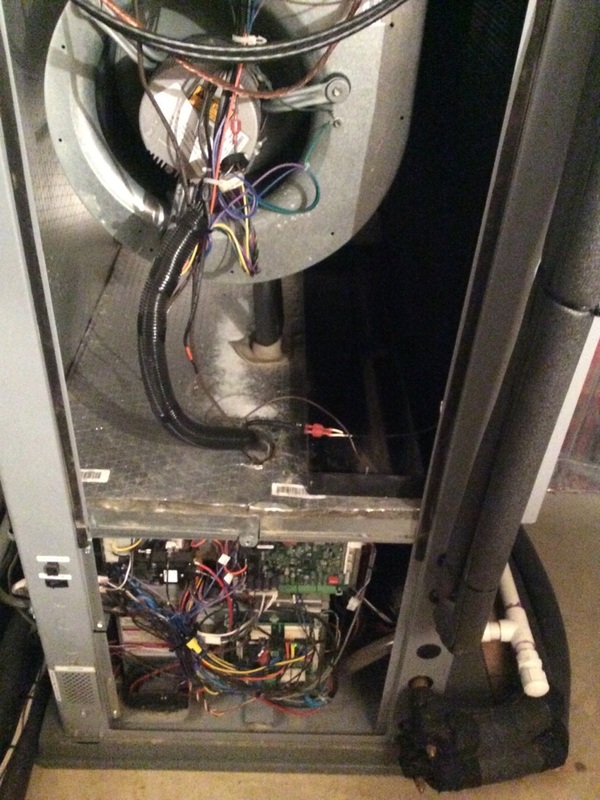 Inspected electrical connections, contactor is ok, filter is clean, evaporator coil is clean, blower wheel is clean, tested condensate pump, and I also cleaned condensate drain line. Customer sighned up for service agreement, paid with a check $299.00. Unit is operating normal at this time. On arrival checked thermostat was calling for cooling. Measured EWT,LWT,EWP,LWP,supply temperature,return temperature, amps,and voltage. Inspected electrical connections,voltage absorption system,contactor,replaced filter provided by customer, tested condensate pump,and also cleaned drain line with a vacuum. Unit operating normal at this time. I cleaned the condensate pan and drain lines and flushed with hot water to move the debris out of the tubing and to make sure that it drained properly and that the condensate pump was working properly. The filter had recently been replaced. I operated the unit on second stage cooling mode. I confirmed proper flow rate and calculated heat of rejection. I did pressurize the ground loop to 65psi. I checked the electrical wiring and electrical systems, all are within specification. Unit operating normal. Customer has Intellistart already installed inside the unit and a whole house surge protector, which is great. The only thing I noticed that could benefit the customer is a Blue Tube ultra violet light. Customer was on a business call and I could not speak to them. I prepared an estimate anyway. 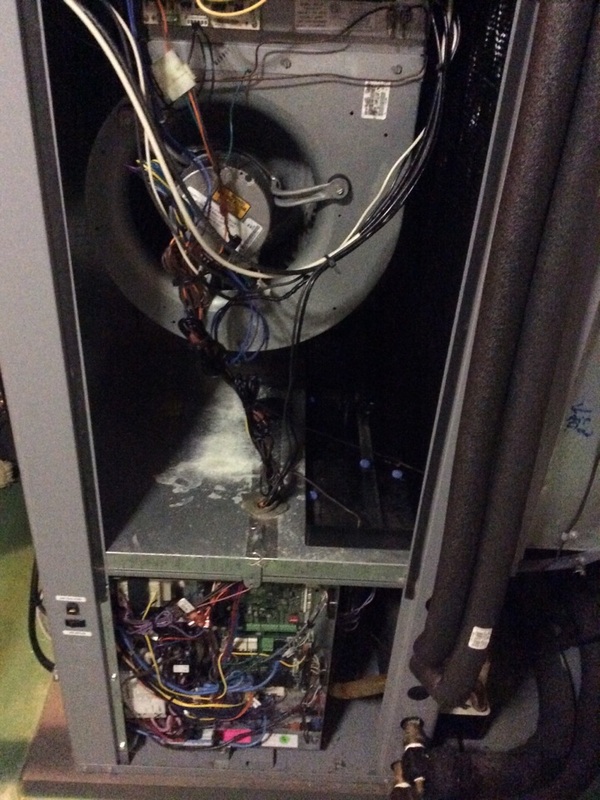 Fall pm on 12/28/18 On arrival set units to call for heat measured supply and return air temp measured voltage and amps inspected electrical connections checked drain and cleaned checked filters and replaced units operating normal at this time. I operated the unit on compressor speed 12 and found the pressure drop too high. I slowed it using axb setup to 13.5 gpm with 4.5psi pressure drop in heating at that compressor speed. Being set correctly should most certainly eliminate the â€œout of envelopeâ€ faults that had been generated. Performance was not much affected by this being incorrect but it is now fully within specification. Customer replaced the filter. I checked the electrical wiring and electrical systems, all are within specification. Loop pressure is adequate. 42,000 btu/hr heat of extraction. The unit is operating normal. 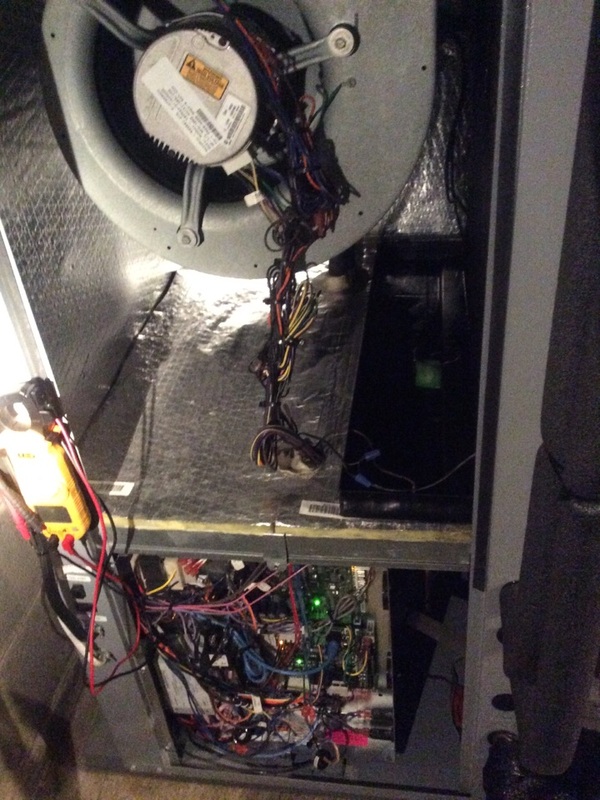 There is some growth on the evaporator coil which is not restricting airflow but could be killed and further growth prevented with an ultra violet light. I spoke with the customer about a few options and will send an estimate. 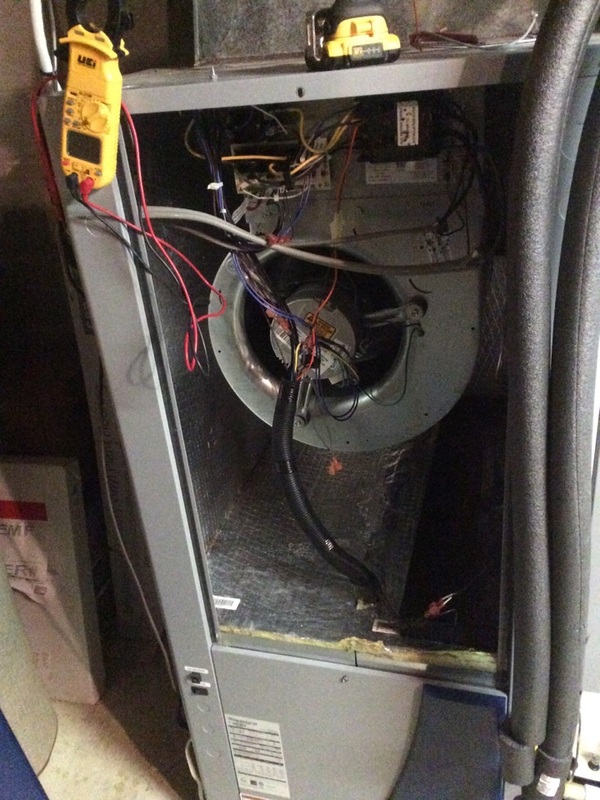 Fall pm on 11/20/18 On arrival set unit to call for heat measured supply and return air temp measured voltage and amps inspected electrical connections checked drain and cleaned checked filters and replaced recommended to install Uv lights unit operating normal at this time.